​In his 2016 SOTU speech Obama commented on how when the Soviet Union launched Sputnik we didn’t deny it but we turned around, made a space program and in 12 years were walking on the moon. My late father and all the rest of those engineers who put us on the moon nearly rose up out of their graves on that comment. Some of the now suppressed history of our space program and on NASA. First, research into a unmanned Satellite, which is what Sputnik was, began with the start of the ballistic missile programs in the late 1940s. In those days the research was limited because the primary money was going to the creation of an ICBM to carry the hydrogen bomb. The idea of a satellite was as an alternative use and centered on making a package that would be large enough to produce useful information while being light enough to reach orbit. Then the effort to create a satellite got a push when people started a challenge to have the first man made satellite launched in time for the International Geophysical Year (1957-1958). Activity increased with sounding rockets, which reached the edge of space but couldn’t even begin to achieve an orbit carrying test packages. These test packages showed that film and cameras would work in space, as well as gave data on radiation and on the effects of vacuum on electronics. The biggest problem however was the launch vehicle in that the United States government had an image problem: they didn’t want the peaceful satellite to be carried by an ICBM. The American effort rested on Vanguard, a small satellite that would be launched on an oversized sounding rocket originally developed by the Navy. The far more capable Redstone was disliked because the Redstone was a deployed nuclear weapon with the US Army. No one had any information of the Soviet vehicle since the Soviet Union was essentially a closed society. My father worked on a black project called Navaho SM-62 at this time. Navaho was a Mach three intercontinental cruise missile that took off using a powerful liquid fuel booster. The engines for that booster where designed by North American Rocketdyne, who had earlier created the engines for the Redstone. Technology was progressing rapidly and even manned space flight was developing as the NACA rocket planes were reaching altitudes of 120,000 feet and the X-15 was in full development. ​Then on October 4th 1957, the Soviet Union launched Sputnik. It wasn’t unexpected since just months earlier the USSR had announced they had launched an ICBM. The ICBM launch had been viewed as a fake since there was no external (external to the USSR) evidence of a launch. Sputnik however produced a continual evidence stream in the form of regular radio transmissions that were picked up by ham radio operators’ worldwide. The American response was to talk about the Vanguard effort and the now planned December launch of the American Satellite. Originally, Vanguard was set to launch in September of 1957, but problems prevented it from launching before Sputnik. Problems that fully manifested itself to the public when on December 6th Vanguard rose four feet off the pad and then crashed back to the pad. Newspapers immediately printed “Kaputnik” in regard to the American Space launch. Even before this self-inflicted black-eye the Eisenhower Administration removed all the stops. In November of 1957 the Secretary of Defense ordered the Army to launch a Satellite using the Juno launch system (the satellite launch version of the Jupiter IRBM). The Army took the problem to Von Braun and he, with JPL assistance, quickly assembled a satellite probe (the first with transistors) to be launched by Von Braun’s Jupiter C test vehicle in late January 1958. The Space race was then official. Though officially started, we were not just starting our space program. Vanguard had given us a public black-eye, but the technology was just waiting to be used. The only action that would suggest we were just starting a Space program was that in July of 1958 Eisenhower established NASA to manage the Space program. Up until this action the Air Force and North American were proposing an orbital “manned” X-15 version that would be lofted by the Navaho cruise missile booster my father had been working on. With the creation of NASA work began on several Space launch systems. All part of the one-up activity both nations- the United States and the USSR- were now doing. The USSR launched Sputnik 2 with a little dog. In December 1958 an Atlas ICBM test vehicle became the world’s first communications satellite as it relayed President Eisenhower’s Xmas message to the world. Nearly every month some new satellite was being launched, or a launch vehicle being tried. As for manned flight, in April 1961 Yuri Gagarin completed one orbit in a Soviet Vostok 1 capsule. Though short, it represents the start of manned space flight, effectively taking the wind out of the effort to develop the X-15, that wouldn’t fly until July of 1962. As for the American capsule tests, incremental tests involving first monkeys, then chimpanzees had brought the American program to the point of a manned sub-orbital flight in May of 1961. The manned orbital mission would have to wait until February 1962. And just to show the one-up nature, in August of 1962 the USSR launched two Vostoks into orbit at the same time (the launches occurring one day apart) just to take something away from the American launch. By this time my father was working on Gemini paraglider and making proposals for Apollo, an effort originally started by Eisenhower as the obvious follow-on to project Gemini, which was the next step after Project Mercury. From 1958 until Kennedy changed Apollo into a lunar project in May 1961, Apollo simply took the technology as far as we could without making a massive booster (a massive booster that was actually called Nova, not Saturn). If anything it was when Kennedy changed the goal that we truly began the moon effort. That means we did it in eight years, not 12. It meant the early booster, the Saturn one (1) would only serve as a stepping stone vehicle, allowing the testing of the lunar components in earth orbit while work was underway on the larger booster. Saturn 1 was in fact a cobbled together booster using available fuel tanks of obsolete Redstone missiles and the LOX tank of a now obsolete Jupiter IRBM. It was this smaller booster my father was originally working on proposals to recover using a paraglider and the island of Ascension in the Atlantic. As for the larger booster, Saturn V would be selected over the larger Nova because NASA could use the old bomber factory in Louisiana without having to make major changes to the facility. In short Saturn was selected because it could reach the moon while also passing through the factory doors. Engine testing of the F1 prototype began in 1960, followed by testing of flight weight engines beginning in 1962. The first all up Saturn V was then launched in November of 1967; film footage of this vehicle launch was later used by Jean Roddenberry in an early 1968 episode of Star Trek (free publicity). By 1968 though the Space Race had already begun unraveling for the USSR. Where in the early 60s they were sending probes to the moon and having regular “firsts” in space, when they began flights with their Soyuz vehicle. Soyuz was both a booster and a three-manned space ship. The Soyuz booster was more powerful then the booster used for the Vostok and Voskhod capsules that had given the Soviets their initial lead in space flight. The Soyuz capsule, was in turn larger then the two-man Voskhod. ​The problem that the Soviet program was now entering was they were starting to respond to American actions instead of just leading. The American Gemini launches showed the American program was rapidly gaining in technology and capability. This meant that the Voskhod program ended with only two flights before the program was transferred to the Soyuz. Thus on a public relations level the Soviets had nothing to talk about from early 1965 to late 1966 as American Gemini flights began making firsts of there own. The biggest being flights out to 800-mile orbits, well beyond anything the Soviets had accomplished. The next problem was the death of the Soviets Chief designer Sergei Korolev in 1966. This was unknown in the West given the secrecy of the Soviet program. It was known however that the first unmanned Soyuz had gone out of control and had to be destroyed by ground control over China in late 1966. 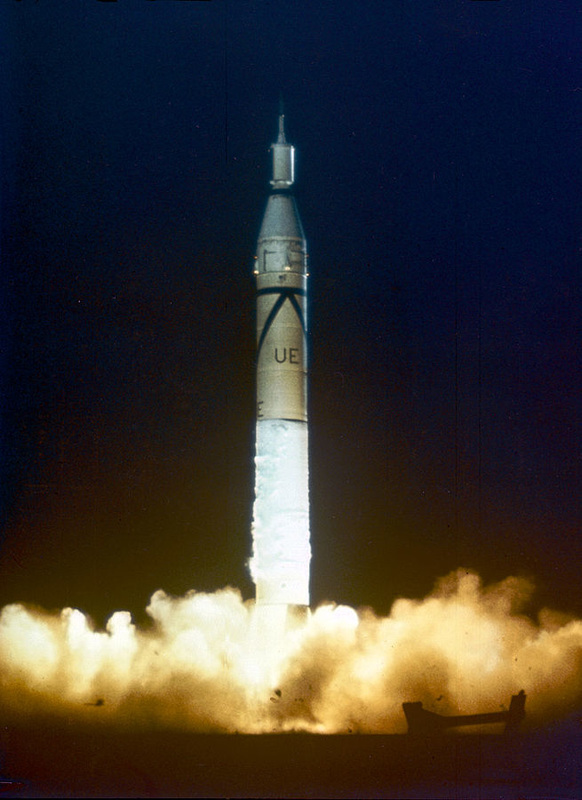 The next unmanned launch in February 1967 ended with a launch failure. Then in April 1967, the first manned flight of a Soyuz capsule ended with the death of the cosmonaut. Granted, In January of 1967 three American astronauts were killed in the Apollo 1 pad fire. Both sides were now showing the strains of the race. And part of the problem also was the differences in the technology. The United States used new fuel cells to power our vehicles while the Soyuz used solar panels. The Americans used an all oxygen system at 1/3rd normal pressure. The Soviets used a 1atm oxygen nitrogen system. The American system utilized positive flight control by the astronauts. The Soviet system emphasized ground control with the cosmonauts really along for the ride. 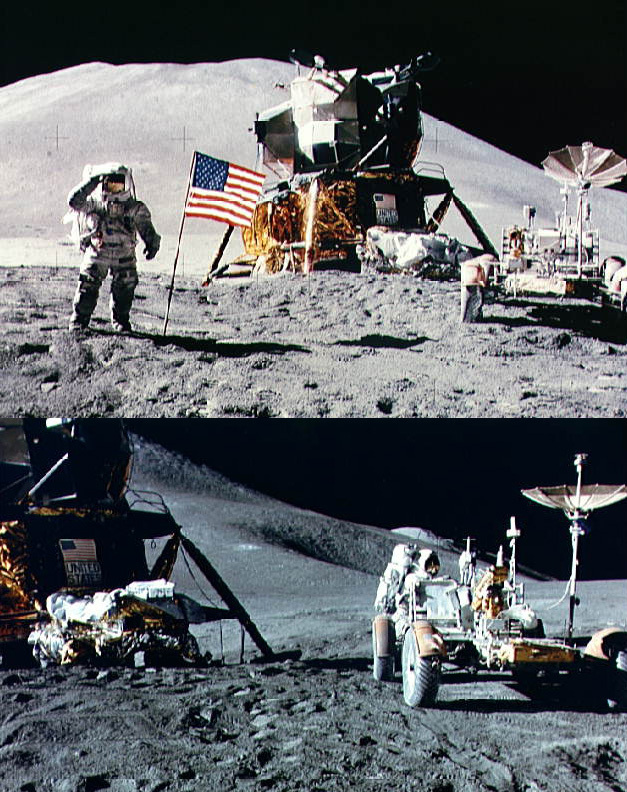 In the end the American combination was allowing the United States to get ahead, particularly when in October 1968 the first three-man Apollo flight was completed. And probably the biggest different was the consistency of the programs. In the United States, Von Braun ruled and the American political system showed that even the assassination of JFK didn’t create Political instability. In the USSR however the change from Kruschev to Brezhnev meant also the start of internal infighting between the various designers in the Soviet missile system. This infighting only got worse when the chief designer died and the Soviet Space program fell into the control of Valentin Glushko, who had a completely different design philosophy to Korolov. 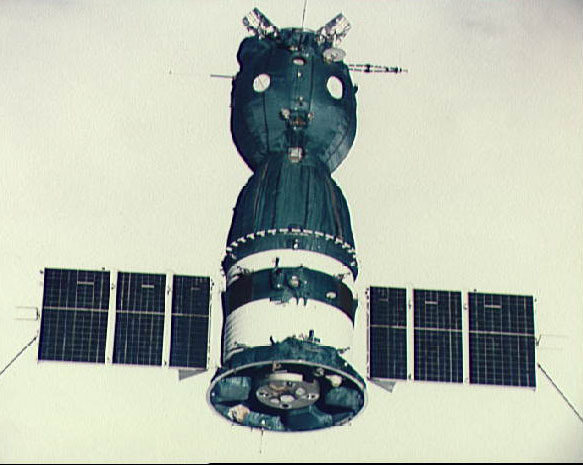 The Soviet Union was still trying to actually dock one of their Soyuz vehicles with another Soyuz capsule. 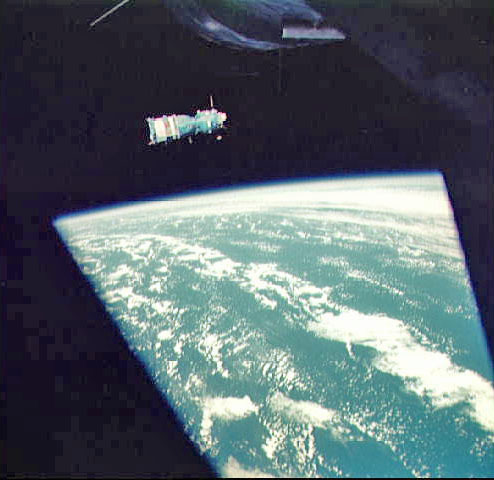 Orbital docking had been completed during the American Gemini program in 1966: the Americans were now officially leading. The special Zond varient of the Soyuz- intended for a single man flight around the moon- was still having unmanned flight failures by late 1968. Thus again the manned Apollo 8 mission to the moon reinforced that the United States was now ahead in the Space Race. ​On the Soviet side everything now rode on the new N-1 booster. 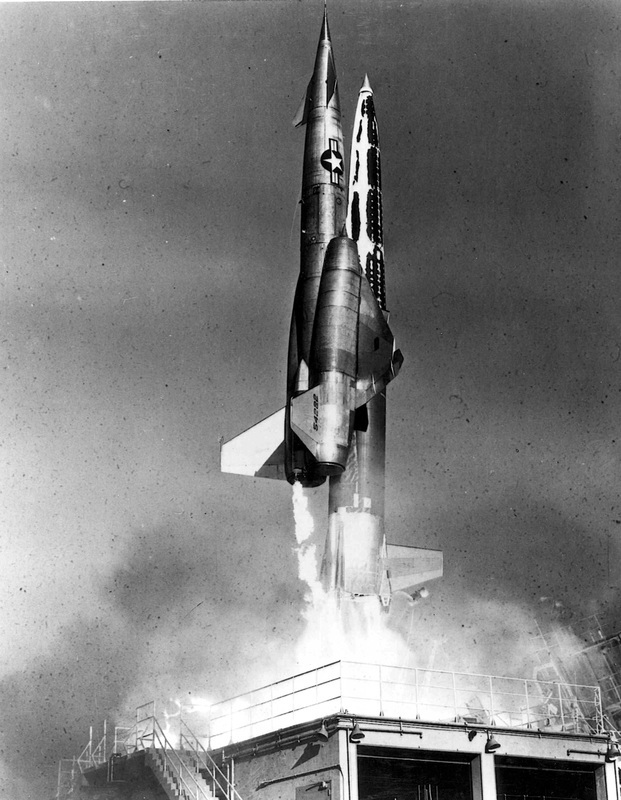 The largest booster yet conceived it was in the same category as the American Nova designs of the early 1960s. But it had only truly begun development in 1965 and was never fully funded. It also used Liquid Oxygen and Kerosene fuel that the new chief engineer despised as a hold over from Korolov. In February of 1969 the first launch was attempted resulting in the vehicle exploding some 12 kilometers up. The Soviets tried again in July with the vehicle barely clearing the pad before it began breaking up. The resulting explosion was as if a small nuclear device had detonated and to this day is listed as one of the largest non-nuclear explosion ever recorded. Thus when the United States Apollo 11 launched on July 16, 1969, American satellites were documenting the destruction at the Soviet launch site. A Soviet lunar probe intended to return lunar samples before the American mission was launched three days before Apollo 11. Its descent burn to the moon actually began after Armstrong had stepped out on the lunar surface. When it crashed, it was being observed by British technicians at the radio telescope at Jodrell Banks (the British only released this fact in 2009). Thus this last attempt by the Soviet Union to steal away the American prize of the Lunar landing failed. And what then happened. The Soviets went into denial mode, claiming they had never even tried to go to the moon. All Soviet connected governments and news outlets instantly denied the earlier reported Zond flights, or even the various lunar probes intended to determine landing sites on the moon. Instead the story was the Soviets were working on a space station in the form of their Salyut station system. Eventually this work developed into the Mir station of the 1980s. As for the United States, with the victory of the moon the Democratic party turned against NASA and the Space program. The follow on Shuttle program was short funded and any effort to retain the Saturn launch vehicles was curtailed. After the Reagan administration NASA seemed incapable of even under standing the technology of the past yet alone the present. A series of programs have been begun (X33, Ares, Jupiter, SLS) with little to show for them in the form of new hardware. It is even now reported that the new SLS launch system (the modern Saturn) doesn’t even have a payload large enough to be practical. 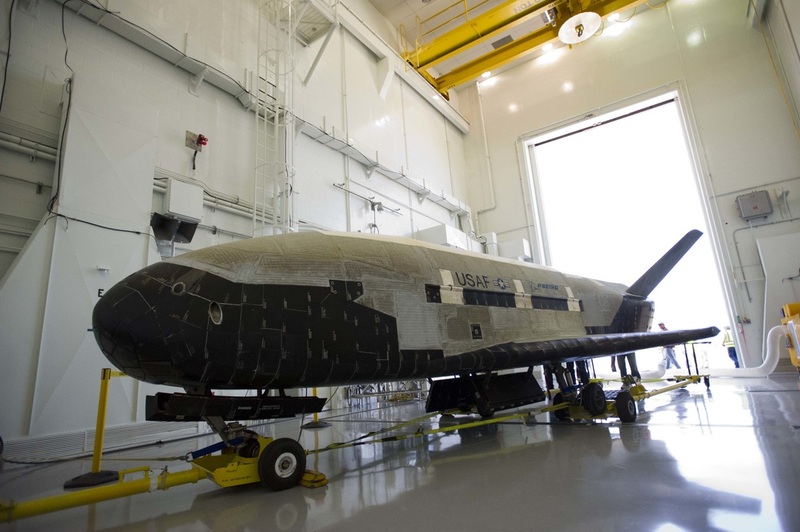 Instead, the most visible new space vehicle is the Air Force X-37 that is essentially the great grandchild of the orbital X-15 rocket plane effectively cancelled for the Mercury capsule. Yes we made it to the moon in 8 years and did a fantastic accomplishment. But Mr. President, we have since lost every bit of common sense and the ability to make anything like the Apollo today. And yes, were you mentioned that we didn’t deny the Sputnik launch- a back hand on your part towards people who question your global warming beliefs- many of the people who support you believe that the moon landings were staged at a Hollywood movie studio. And their biggest evidence is how we can’t even seem to build an orbital space vehicle anymore yet alone a vehicle to reach the moon.